A renowned French folk tale summarizes its content as, “Life is lifeless without festivity!” And this quote seems unarguably true when we look at the world around us. All the joys, celebrations, festivity and colors of our life are associated with one or the other kind of festivals we have in our lives. Absent these festivals and special events and you find no reason to dress colorfully, share drinks or get together with your friends and dear friends. Being one of the oldest civilizations of the world, Chinese culture is considered rich and strong when it comes to festivals and festivity. 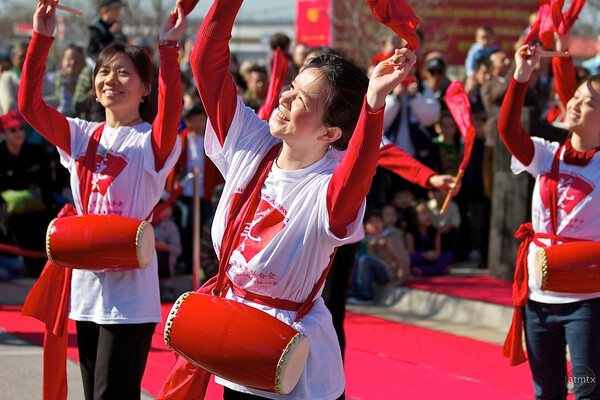 Though Chinese do not share their language with any other region of the world (still the most widely spoken language of the world), Chinese festivals are still the most renowned, popular and anticipated events all around the world. Throughout the year, you find one or the other kind of Chinese cultural and traditional events attracting the attention of the world around. 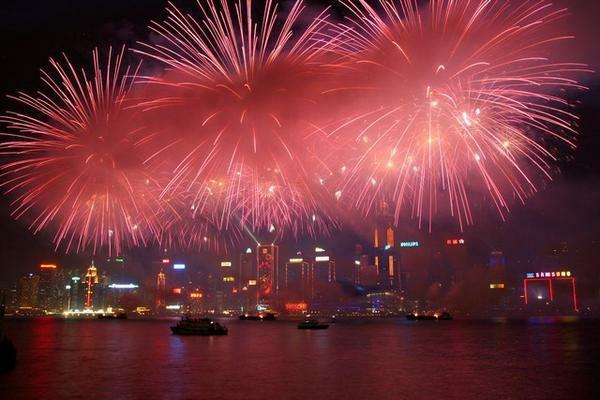 With the dawn of the year 2014, you might have enjoyed the global new year celebrations. You might have noticed how people celebrated this new year on the roads of New York or at the hotels in London. But tell you what, this is not the whole of the new year celebrations. 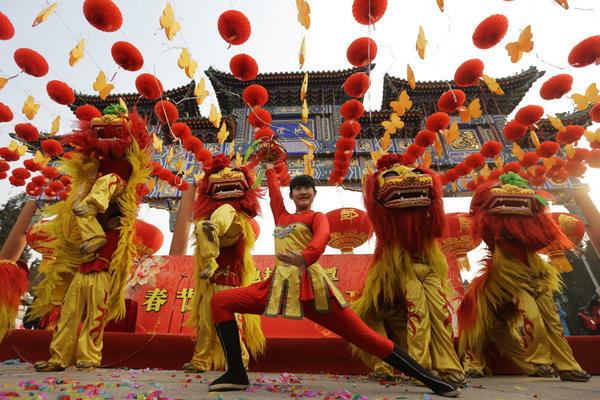 The Chinese new year celebrations are far more colorful, joyful, candid and splendid. And if you are one of those individuals who do not have enough information about the new year of Chinese calendar, this article is certainly going to be prove a useful piece of information for you. For some, Chinese New Year may be just another event but for Chinese, it is the mark of ultimate festivity, colors and candle lights. As a matter of fact, the Chinese calendar (which is lunisolar in nature) marks the beginning of new year irrespective of the traditional international calendars we follow. In China, this new year is also called as the event of spring and sometimes as Lunar new year. It would be rather surprising for you to know that Chinese New Year is the longest celebrated event in whole of the China. It starts on the evening of the first year and continues till the 15th day of the first month of the Chinese year. It is also interesting to know that only a few events are there in the world which are continued to be celebrated for as long as 10 days, Chinese new year is definitely the longest of all those! As already mentioned, the Chinese calendar is lunisolar which makes its dates and months pretty different from the traditional calendar we follow internationally. For this reason, the Chinese New Year start on different dates (as per our traditional calendar). In 2013, the Chinese new year had started off at February 10th and the celebrations had continued till 25th of February that year. In this year (2014), the Chinese New Year is to start at 31st of January and the new year celebrations are supposed to continue till the 14th of February (2014). So, if you have missed the new year celebrations on 1st of January, don’t worry at all because the mega celebrations are waiting ahead in the form of Chinese Spring Festival celebrations. The Basic Philosophy of Chinese New Year? As a matter of fact, the Chinese New year is a traditional time to serve honor and gratitude to the ancestral heroes and elders of Chinese history. These celebrations are also associated to the name of a new animal each year. For example, in the year 2013, the Chinese year was associated to the name of snake and this year, it would be to the name of horse. The New year in Chinese year is not just another page of calendar, in fact, it marks the beginning of a new era which clearly influences the moods, beliefs and activities of those who believe in the traditional culture of China. 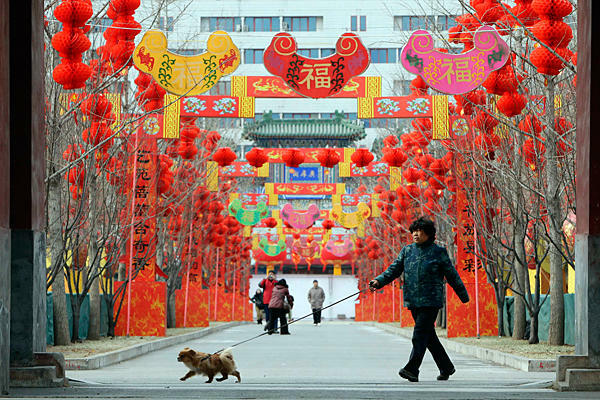 The Chinese spring festival doesn’t include mere running on roads or sharing cups of hot drinks. This festival includes tens of different colorful activities. It is important to know that the Chinese new year celebrations are not bound to China only. In fact, there are many countries in the world where Chinese are found in quite an abundance and thus this event is celebrated in those countries as well. For example, Philippines, Hong Kong and Taiwan are such countries. In the celebrations, there are a number of interesting activities like Lion dance, horse dance and traditional costumes of the spring festival. People exchange gifts in red envelopes. 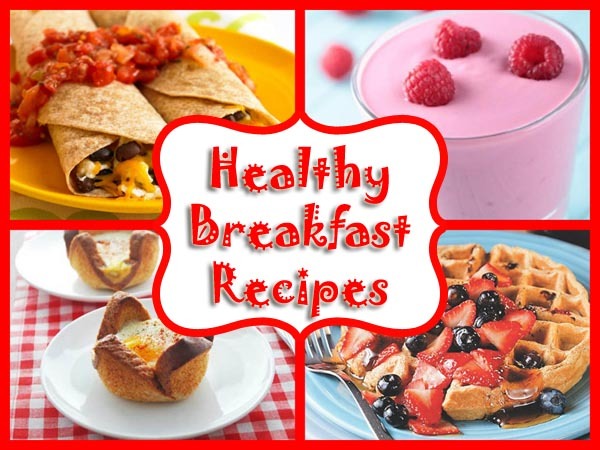 Drink parties are arranges and families are invited to have meals and gatherings. 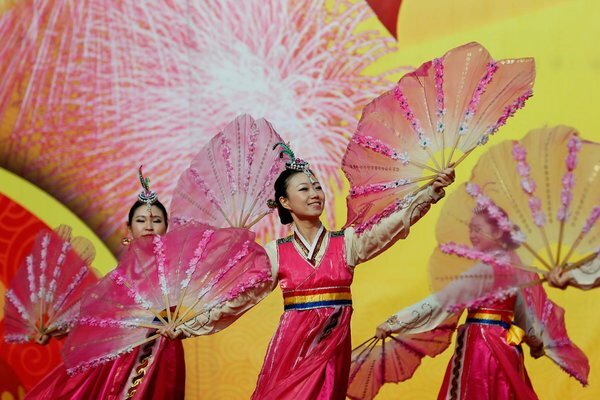 Musical concerts and traditional Chinese games are also part of the new year celebrations. As already mentioned, the Chinese new year celebrations continue till the 15th day of the new year, the number of celebrations activities goes limitless in this period of time. It has been interestingly and surprisingly noticed that the Chinese new year celebrations are more intense and frequent in China compared to the international new ear festivity. This has been seen especially in those years where the Chinese new year had started off in the month of January. Chinese people love their tradition and culture and this sense is well exhibited when one witnessed their spring festival celebrations. If you ever get a chance to be in China during the Luna year celebrations, try to be in Beijing, China town or Nanjing since these are the regions where the new year celebrations are most intense and at peak through the 15 days of the new year. Hundreds of songs, books and poems writing on the Chinese New Year celebrations are clear proof of how important, joyful and red hot this even is in the traditional history of China. Chinese New Year… Time To Sweep Away All Ill Fortunes! Another very interesting aspect of the Chinese New Year is that this time is considered the best to gain blessings and sweep away all ill fortune elements from one’s home. In China, on the first day of the traditional New Year, all families would wash their homes and decorate their doors and windows with red colored papers. The washing or cleaning of homes is supposed to be a way to throwing out all bad omens and misfortunes from homes. The red color is also considered an important factor in celebrating new year. Besides decorating doors and windows with the red color, people also exchange envelopes of red color, wear dresses of red color and adorn their vehicles with the red colored covers. Red color at the eve of the new year is considered a sign of brining blessings and good fortune! 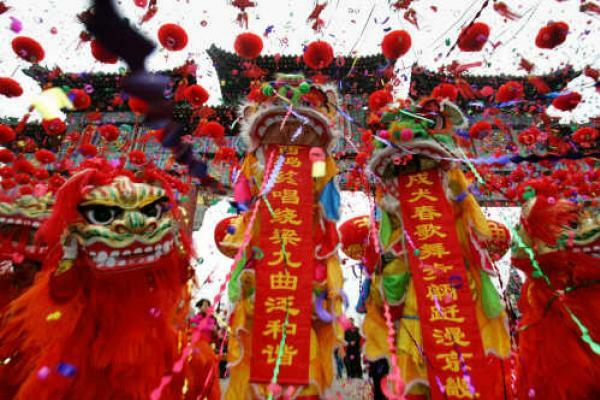 Why Red Color Holds Such A Pivotal Position In Chinese New Year Celebrations? It is rather interesting to know that the Chinese New Year holds Red as central element in its celebrations. Move around whole of the China on New Year celebrations and you would see homes, shops and even people wrapped in red color. The myth behind using this red color is even more interesting. As a matter of fact, Chinese traditions has a belief that there used to be a monstrous animal names as NIAN who would come on the first day of every new year and impose catastrophes on the Chinese people. For example, the monster would kill livestock of the villagers, would eat away all crops and would even eat away the children of the Chinese villages. This way getting more and more fierce with the passage of time. On year, the villagers decided to prepare food and place that before their homes before the arrival of Nian. Nian, that year, ate away all that food and did not harm the villagers. Years passed this way and the villagers remained safe from the harms of Nian. One year, the villagers witnessed a strange spectacle. At the arrival of Nian, a boy dressed in red colored clothes got out of their homes and on seeing him, Nian ran away in the woods. People, on that day, realized that Red is the color by which they can repel Nian and all sorts of misfortunes in their villages. Thus, this myth continued in the Chinese culture and even today, Chinese believe that having red color around them on the eve of the new year would help them bash away all sorts of ill fortunes. Therefore, the red color becomes the central ingredient of all Chinese festivity, especially on the new year or spring festival. 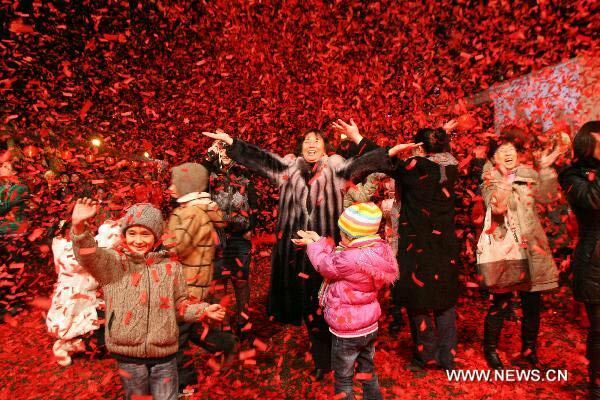 If you ever visit China near the New Year eve, don’t forget to take your red colored jacket with you! It would definitely help you extract fun and enjoy the festivity at its fullest! It is also worth mentioning that the Chinese new year is observed as public holiday in China. In most of the cases, the holidays extent to as much as three days in China. Sometimes, the weekend is added to the holidays and it becomes an even bigger holiday for the new year celebrations. Besides, in most of the other countries where we have a good sizeable population of the Chinese community, (Hong Kong, Malaysia etc), the holidays vary from one to three. Since the new year is counted as one of the most important cultural and traditional even in China, holidays are observed to let people take their time and enjoy to their maximum. Each day from the day first onwards has its own special charms and practices. For example, the first day is marked with greeting the blessings. 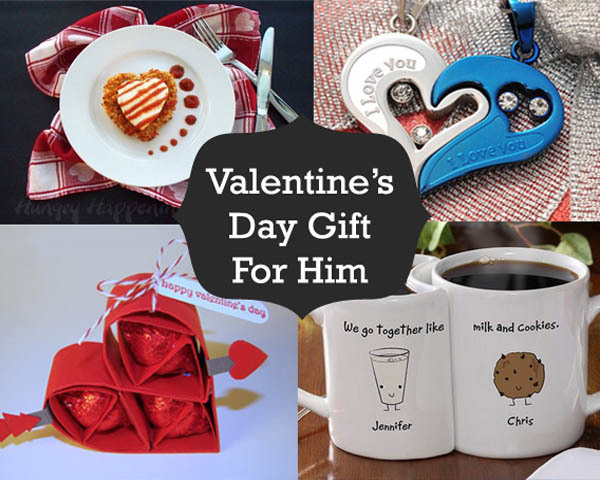 People meet the eldest of their families, arrange special gatherings for them and exchange gifts with them. Also, it is considered a bad omen to lit fire at home on the first day. For this reason, most of the Chinese would cook their food the day before the first day of the New Year. 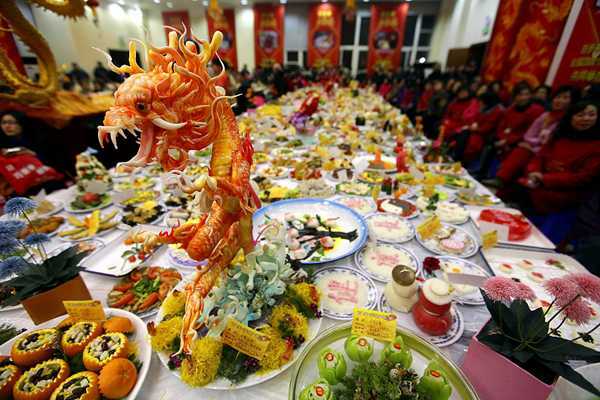 In most of the homes in China, a few special dishes are cooked every year of the Eve of the New year. They include Dumplings, Special New Year Cake, Tang Yuan, Laba Congee etc. Another interesting feature of the first day of the new year is that people abstain from eating meat on this day. Due to some myths and cultural limitations, it is considered a bad omen to serve or eat meat on the very first day of the Chinese new year. In some parts of China, fireworks are carried out in streets and roads on the first day. However, such an activity is prohibited in most parts of China considering the possible hazards of the fireworks. 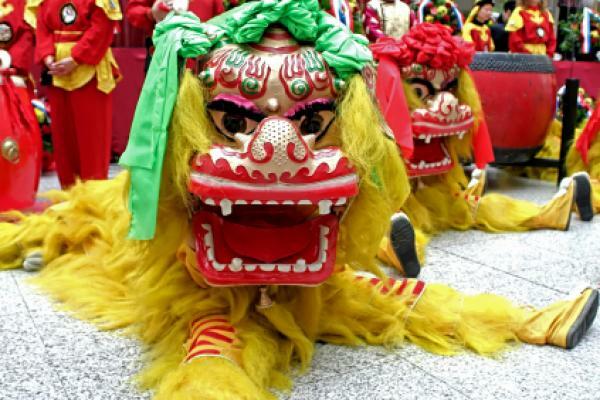 Lion dance is yet another important element of the first day celebrations. 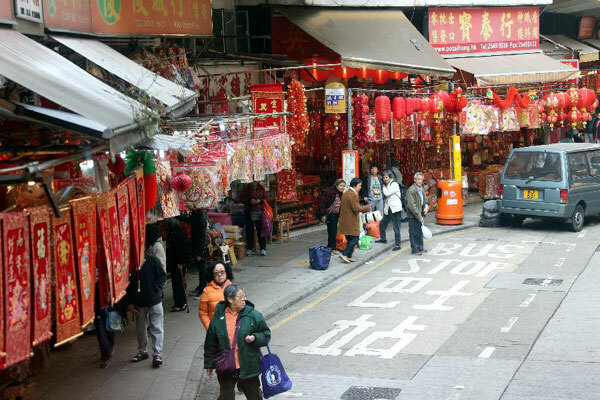 People visit Lion dances on the specially designed spots in their towns. Similarly, exhibition of different animals’ dance is an elegant spectacle to watch on this very first day of spring festival. On the second day of the new year, daughters normally visit their birth parents and this traditions exists in whole of the China. Family reunions and gatherings are witnessed all across the China. The third day is featured with the worships and visiting temples. Buddhists especially believe that this day is the birthday of some of their most reputed religious leaders. This way, the third day becomes a religious as well as a culturally important day for Chinese folks. Therefore, it can be very safely concluded that the Chinese New Year is one of the finest manifestations of how festivity and colors and add joy to the life of whole community.